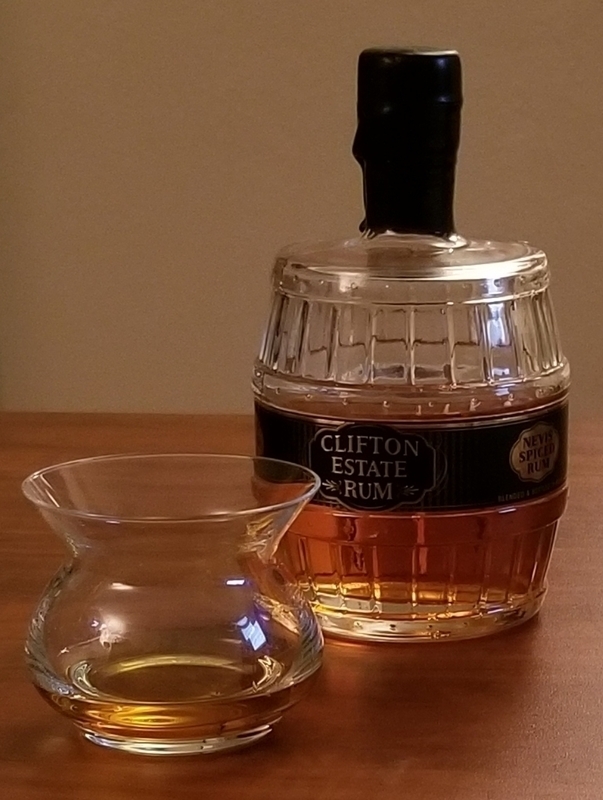 Have you found an online vendor selling Clifton Estate Rum Clifton Estate Spiced Rum? Wonderful things come in small packages. This orange spiced rum from Nevis is beautifully presented in a 500 ml craft barrel bottle. The scent of orange peel and cream reaches your nose as you pour it. Sweetened with honey and spices, the first sip is incredibly smooth for a full 80-proof spiced rum. The clove and spices meet the middle of your tongue, and the medium finish lingers with just a little warmth. If you're traveling to Saint Kitts or Nevis, be sure to pick up as many of these little gems as you can bring back.